The 37th annual Gympie Music Muster has wrapped up for another year after more than 1700 volunteers, working around 15,000 hours, built a once-in-a-lifetime Muster experience. The biggest not-for-profit festival of its kind in the country ran from August 23-26, 2018 and raised more than $153,000 for charity and community groups with the Muster’s grass-roots passion for giving back to regional Australia growing stronger. Early reports suggest around $25,000 was raised for this year’s official charity partner Prostate Cancer Foundation of Australia across the four days, with the Muster’s own Biggest Ever Bloke’s Lunch event a sellout. A further $128,000 was donated to more than 30 local community groups. “The PCFA have been overwhelmed by the support and success of this year’s Muster,” PCFA spokesperson Peter Duffy said. “The Muster board, staff, Apex, volunteers and entertainers have been fantastic. In addition, to the broader Muster community and crowd who have been so generous, we say thank you. Men in regional Australia are disproportionately affected by prostate cancer, so the opportunity to raise awareness in this community has been invaluable. The 2018 festival also saw increased sales of four-day passes, with an aggregate audience of 22,000 patrons. Muster-goers enjoyed three days of warmth and sunny skies, with light rain on the Sunday a welcome break to the dry spell. 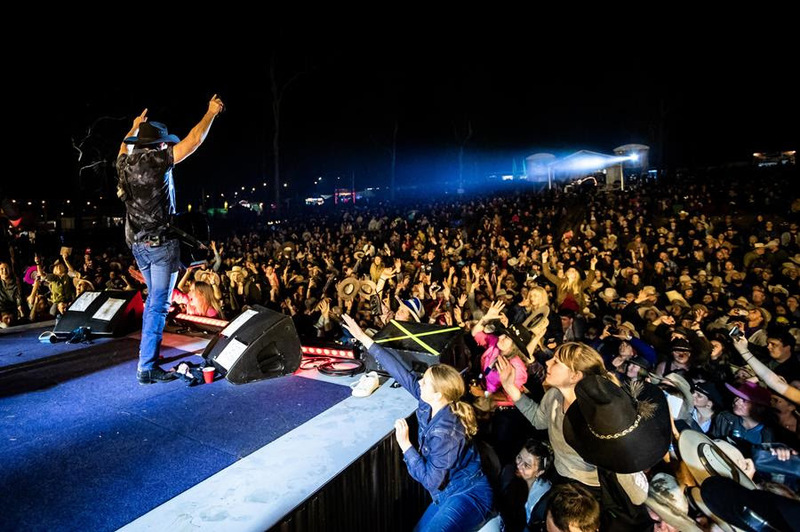 A mix of iconic crowd favourites and new program elements kept audiences happy, with The Wolfe Brothers, John Williamson, Travis Collins and Lee Kernaghan bringing record crowds to the Muster hill on Friday. Crowds packed into the festival’s new workshops and panels, and rocked out to the newly-expanded Blues program. “With a program that we tried to pack with variety, it’s difficult to pick just a few highlights,” Program Director Jeff Chandler said. “However, some were just so outstanding that they were simply the talk of the festival: undoubtedly Lee Kernaghan’s main stage performance to a massive crowd on the hill will go down as one of the most memorable of his career, while the highly entertaining Melbourne Ska Orchestra had the audience dancing like never before seen at the Muster. “The Vox Guitar Jam set a high bar for all future jams with unforgettable performances by Albert Lee, Tim Gaze, Ian Moss, Troy Cassar-Daley, Minnie Marks and Lloyd Speigel, who, in my opinion, was one of the real ‘finds’ of the festival for many patrons. Lee Kernaghan had the Muster crowd in the palm of his hand. The Vox Guitar Jam had the Jim Beam Blues Bar packed to the rafters on Saturday, highlighting some of the best guitarists in the scene with two hours of pure shredding including rock legends Ian Moss, Tim Gaze, Albert Lee (UK) and many more. 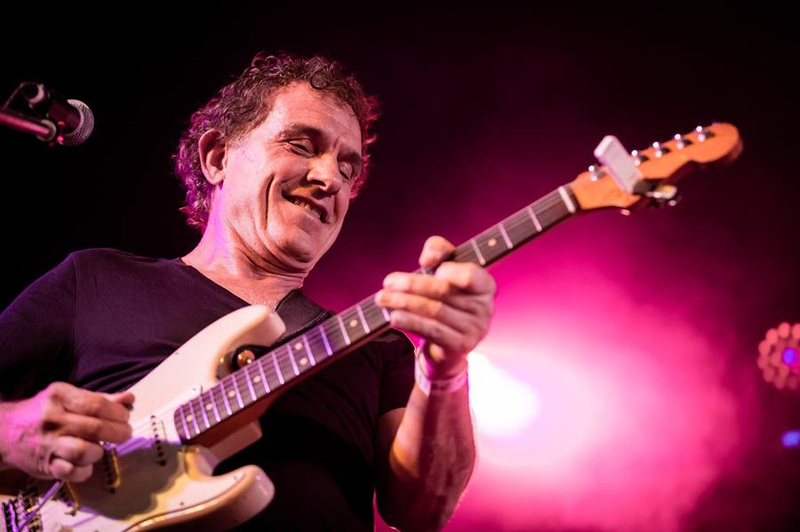 Ian Moss shared the stage with fellow guitar legends at the Blues Bar. 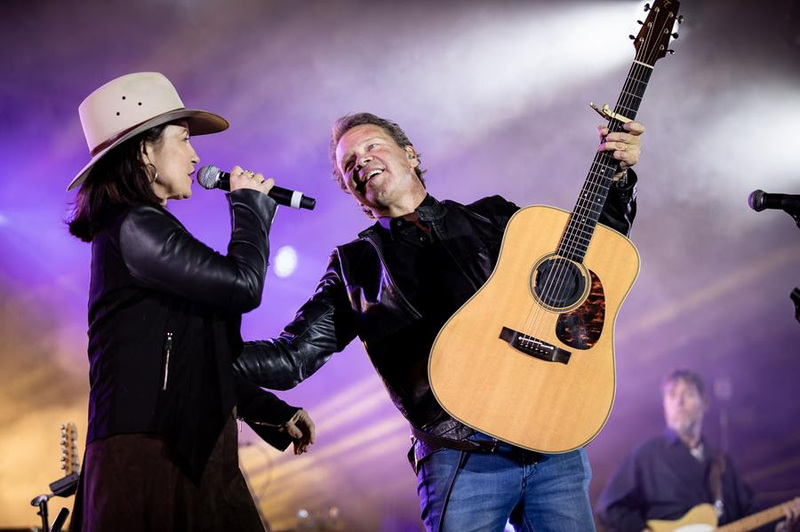 Saturday night also saw long-time member of the Muster family Troy Cassar-Daley take to the main stage, with a special guest appearance from his wife Laurel, whom he met at the Muster 25 years ago. His performance also saw him dust off some of his iconic hits, previewing exclusively at the Muster from his greatest hits album to be released later this year. Troy Cassar-Daley and his wife, Laurel, are an institution in the Muster community. “A Gympie Music Muster is always something special, but there was something extra special about this one,” headliner Beccy Cole said. With this year’s festival done and dusted, patrons can look forward to plenty more Muster spirit in 2019. Held in the Amamoor Creek State Forest in the beautiful Sunshine Coast Hinterland, two hours north of Brisbane and 40 minutes from Noosa, the Muster is the perfect way to kick back and enjoy some of the country’s best talent. An unmissable and uniquely Australian event, one ticket price gives Muster goers free camping and multi-venue access to all performances, to experience everything Australia’s biggest country music celebration has to offer. It also gives a multi-million dollar boost to Queensland’s tourism sector every year, providing an economic boom for the region.